Why Is Bitcoin Steadily On The Decline? This market is not as liquid as other more established markets such as the FX markets which trade over $3-$5 Trillion per day with the spot market accounting for a third of that volume. 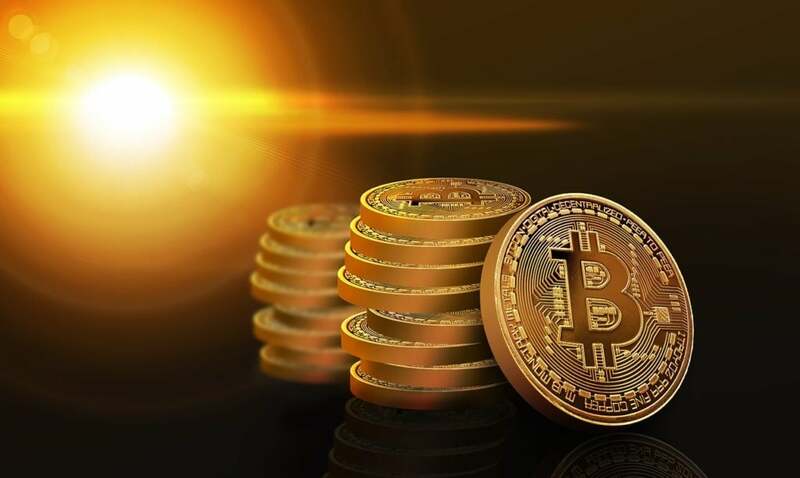 The illiquidity and price decline within the Crypto Markets is a result of the recent uncertainty surrounding last year’s price manipulation of Bitcoin and Tether. Crypto is very volatile but the Blockchain Technology that Cryptocurrency is built on is here to stay. The correlation between Bitcoin and Tether and possible price manipulation has is a huge concern for the crypto community, and has been since Bitfinex was subpoenaed by American regulators. This is a prime example of the flaws inherent in a fully centralized environment that Tether was operating in. Although the core principal that Blockchains are built on which is "Decentralization", some organizations might utilize blockchain technology, but are not operating with a Decentralized Governance structure. As you can see was the case with Tether and Bitfinex as well as other Exchanges such as OkCoin its consequences. This is why Regulation is important. President Trump just signed the Economic Growth, Regulatory Relief and Consumer Protection Act. The recent changes to the New Law Orders SEC to Allow Reporting Companies to use Regulation A+. Previously, the Reg A+ rules, in Section 251(b)(2), required that a company cannot use Reg A+ if it is subject to the SEC reporting requirements under Section 13 or 15(d) of the Securities Exchange Act immediately prior to the offering. The new law reverses that and orders the SEC to change the rules to permit reporting companies to utilize Reg A+. What are the implications of this change? Allowing already public and reporting companies to use Reg A+ will provide them access to the unique benefits of this streamlined public offering process. Over-the-counter companies can conduct a Tier 2 public offering free of state blue sky merit review. All companies can use broad “testing the waters” with online or broadcast promotion of their public offering to anyone – this is limited to institutional and accredited investors otherwise. Couple that with banks fixing interoperability challenges they face as they integrate Blockcahin technology. Cryptocurrency has a bright future as this will be huge for the Crypto space and will bring a lot more liquidity as ICO projects are able to solicit investments from non-accredited investors. This will ultimately drive the price of Cryptocurrencies like Bitcoin, Ethereum or Ripple to new heights. Unfortunately there is no timeline on when the move to the upside to test the prior highs on these coins will take place. One of the world’s innovators shaping the future of Blockchain technology and finance as a banking revolution advocate. Ringgold is an internationally recognized financial industry strategist. He is named one of the most influential people in banking and a Top Fintech Influencer. a widely published author of books, articles, and blog posts on cryptocurrencies, Ringgold continues to contribute his technical knowledge and commentary in the crypto industry. He is a frequent speaker at conferences on the topic of trading illiquid assets and has appeared in many leading publications, including Nasdaq, CNBC, The Money Show, Forbes, Power Trading Radio, MarketWatch and many others. He is the Founder of Blockvest Decentralized Exchange & Index Fund, Founding Member of The Blockchain Exchange Commission as well as Founding Partner of Blockchain Investment Group an investment bank that focuses on Blockchain Asset Based companies. Ringgold’s entrepreneurial experience and passion for Blockchain technology led him to found the Blockchain Investment Group in 2017. Ringgold brings a wide range of international, multi-sector experience into building Block Chain Investment Group's global network. His strategy is to focus on building and supporting Cryptocurrency and Blockchain companies by leveraging its insights, network, and access to capital.